Each Thrift Store Website comes with a Guestbook installed. You can choose to use this page or hide it. 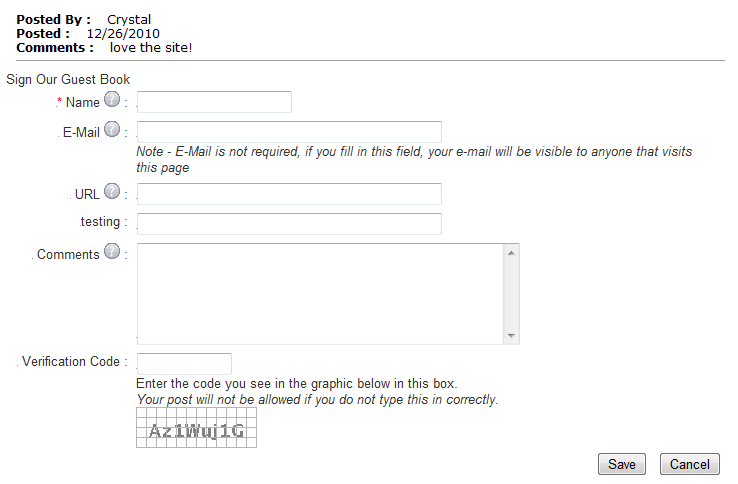 If you do decide to use it, it already has some fields filled out like Name, Email, and Comment. However you can add fields to your Guestbook page. You will need to keep an eye on your Guestbook for unsavory posts that you will need to delete. In 2 steps you will see where to delete them. Start by going to your Guestbook page and then clicking on Edit Special. This will bring up the management area. You can type in other questions or labels in the fields available. Click on Save to the left under the fields. You can also check the box next to posts you do not want to show and click on Delete Selected above the checks in the Messages Section. 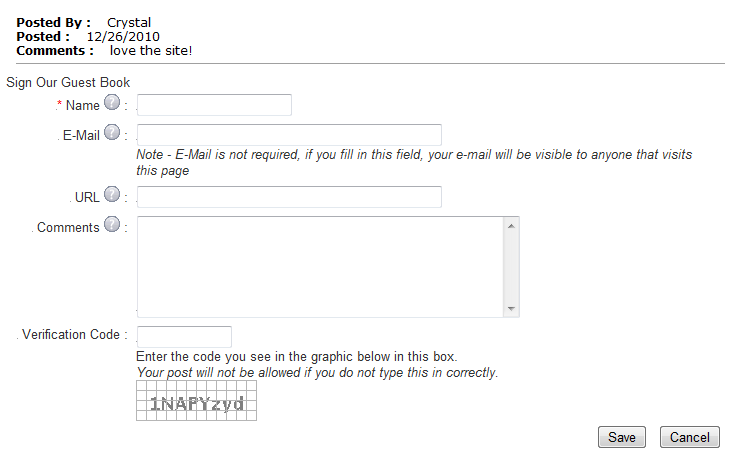 Your Fields will show up under the URL field of the pre-created form. Comments are posted to your site immediately.